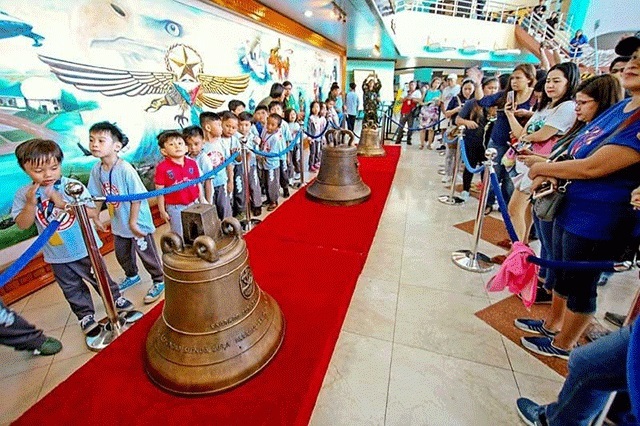 On December 11, 2018, at the direction of Secretary James Mattis, the U.S. Department of Defense turned over the three Balangiga bells to the Department of National Defense (DND) of the Philippines at Villamor Air Base, Manila. 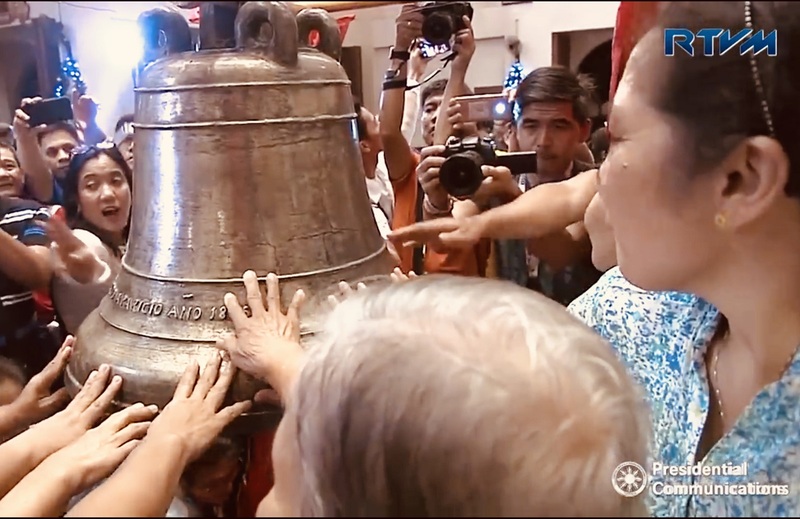 On Saturday, December 15, the DND turned over the bells to San Lorenzo de Martir Parish Church, Samar, 117 years after these were removed from the church belfry in 1901 during the Philippine-American War. 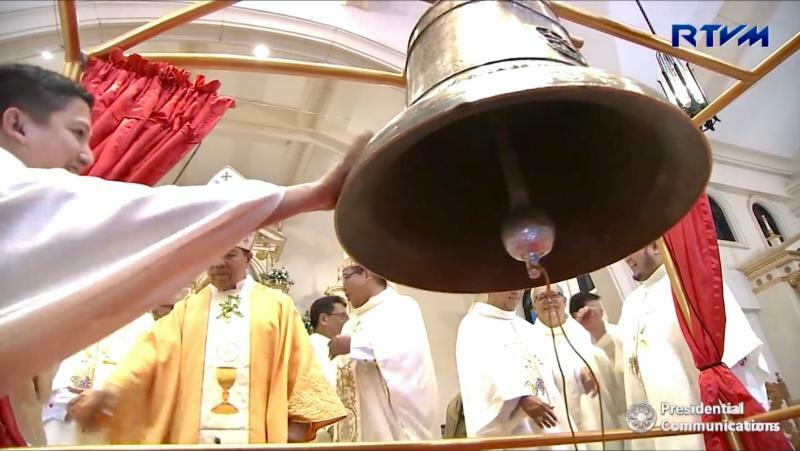 The return followed years of effort by both Americans and Filipinos to repatriate the bells. The work of US-Philippines Society founding directors Ambassador Frank Wisner, Honorary Consul Henry B. Howard, Dennis Wright, Executive Director Hank Hendrickson, and Society members, Adm Daniel McKinnon and Brian Buzzell, among others, was instrumental as part of a team effort to pave the way for the successful and historic bells’ return to their church in Balangiga. 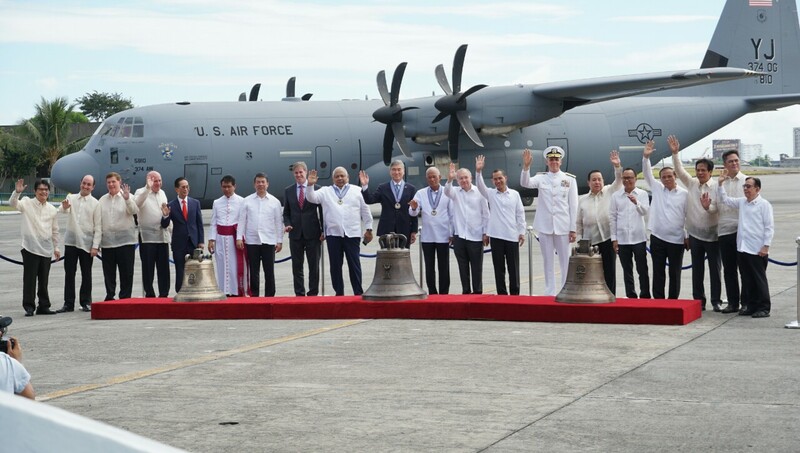 We are delighted to share select press coverage and photos of the historic event: the Bells’ handover at Villamor Air Base, Manila, the ceremonial turnover to the San Lorenzo de Martir Parish Church, Eastern Samar and the ceremony at F.E. Warren Air Force Base, Wyoming, U.S. on November 14, 2018. President Duterte attended the ceremonial handover of the Certificate of Acknowledgement from U.S. Deputy Chief of Mission John Law to Defense Secretary Delfin Lorenzana on December 15, 2018 in the Balangiga Auditorium, Samar. “The homecoming of these artifacts is truly a milestone in the shared and meaningful history of the United States and the Philippines, and heralds a new and more vibrant chapter in our bilateral relations,” the President added. 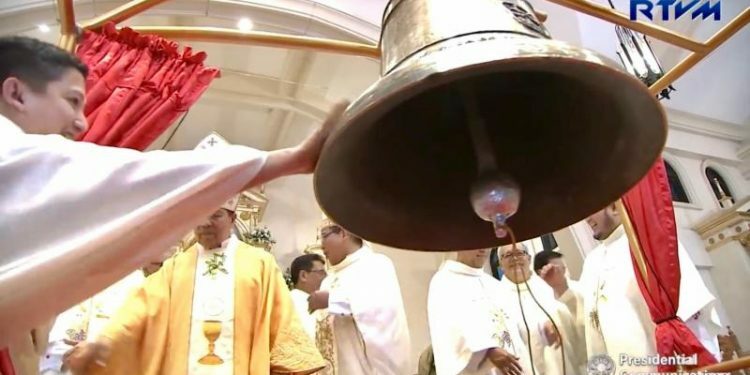 After the official handover of the Transfer Certificate of the Balangiga bells to the Philippines, the Parish Church of San Lorenzo de Martir holds a mass for the Balangiga residents on December 15, 2018. Most Reverend Leonardo Medroso D.D. 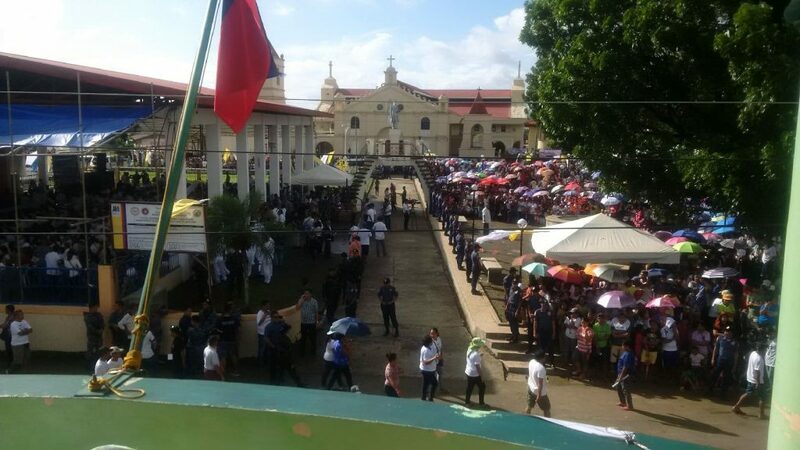 Bishop Emeritus of Tagbilaran officiates the mass. 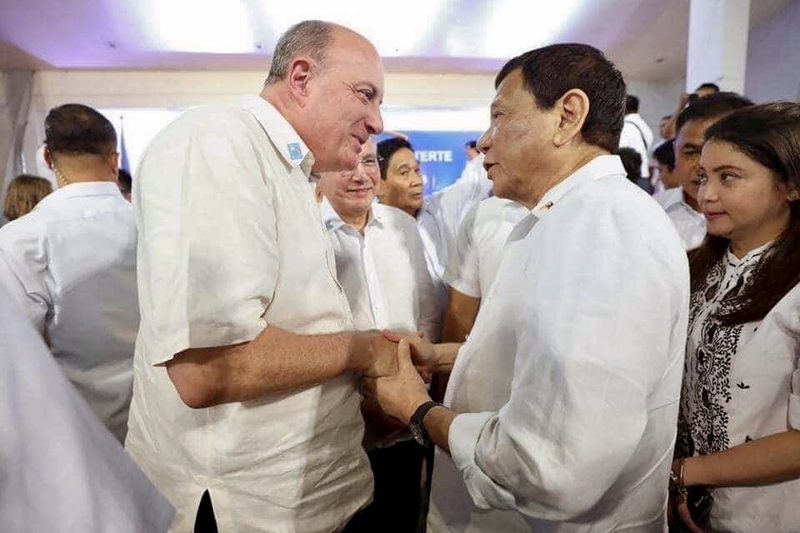 On behalf of US-Philippines Society Co-chairs Ambassador John D. Negroponte and Manuel V. Pangilinan, Society Director Henry B. Howard greets President Duterte during the return ceremony, Eastern Samar. 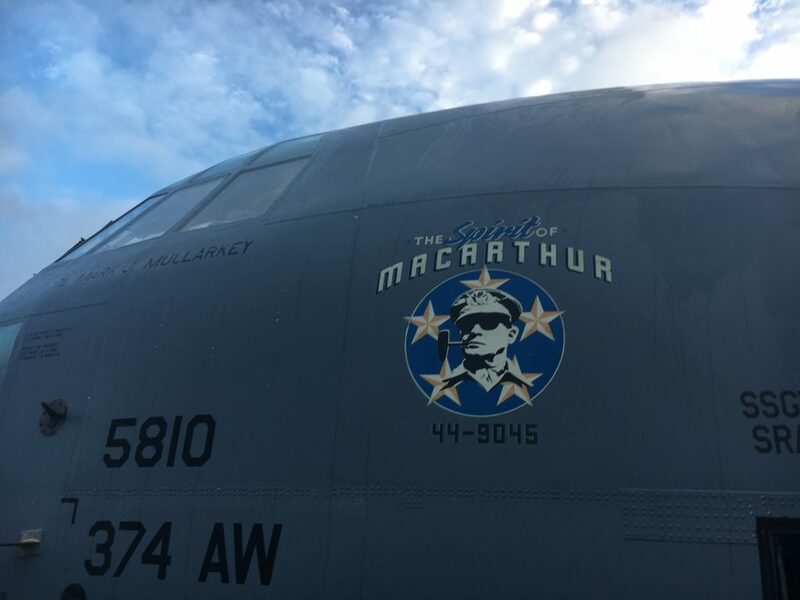 Balangiga Bells Arrived on December 11 in Villamor Air Base, Manila, Philippines on a U.S. Air Force aircraft C-130 named “The Spirit of MacArthur” a fitting recognition of General Douglas MacArthur’s return 74 years Ago. “The Bells of Balangiga are home now, in the Philippines, where they belong.”- Ambassador Sung Kim. The Bells of Balangiga are finally scheduled to arrive to its parish church, the San Lorenzo de Martir, in Balangiga, East Samar, on December 15, 2018. Upon its upcoming historic turnover, RTVM presents a 30-minute documentary that includes perspectives from US-Philippines Society directors Dennis Wright, Honorary Consul Henry B. Howard, Executive Director Hank Hendrickson and member Admiral Daniel McKinnon. The video acknowledges US-Philippines Society co-chaired by Ambassador John D. Negroponte and Manuel V. Pangilinan for efforts by dedicated directors including former U.S. 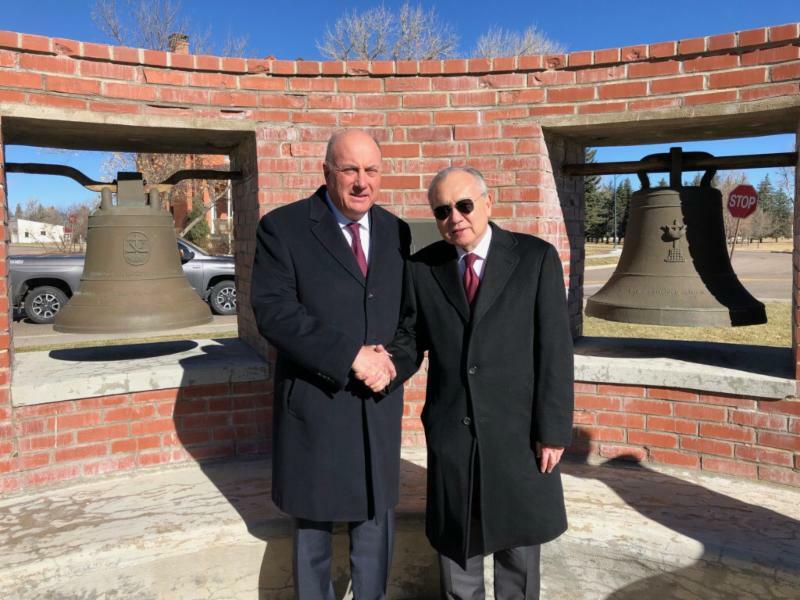 Ambassador to the Philippines Frank Wisner to bring the bells home. The US-Philippines Society is pleased to announce that Secretary of Defense James N. Mattis led a ceremony at F.E. 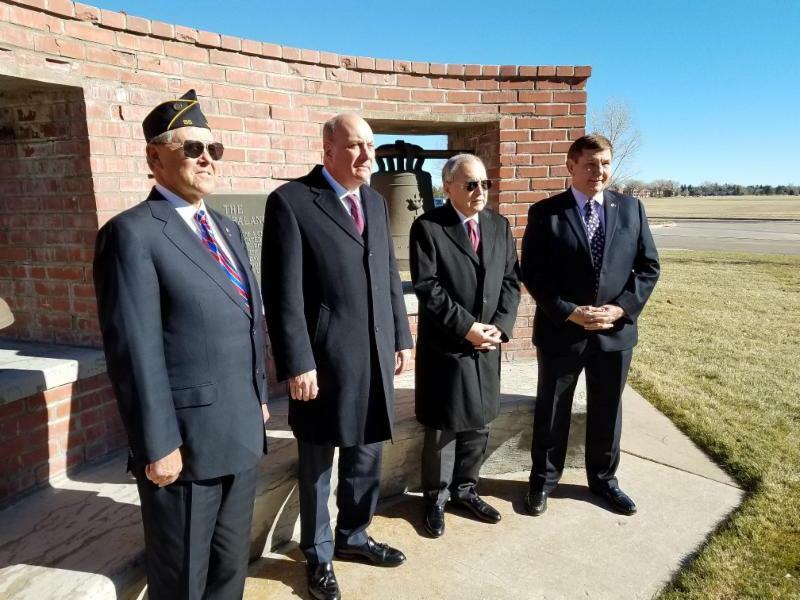 Warren Air Force Base, WY on November 14 to mark the beginning of the process to return the Bells of Balangiga to the Philippines. Society directors Henry B. Howard and Dennis Wright and USPHS member Brian Buzzell also participated in the event, along with Philippine Ambassador to the United States Jose Manuel G. Romualdez. Click for the full text of Secretary Mattis Address. 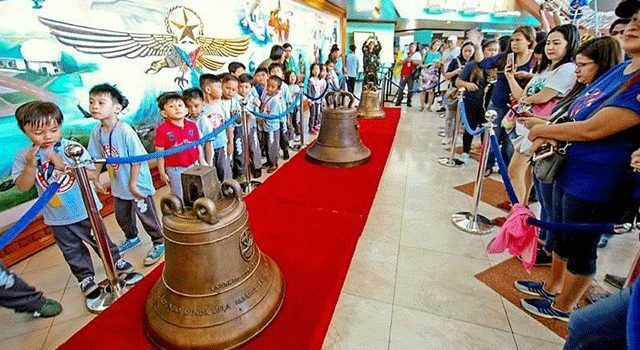 The two bells from Warren AFB that were taken from the Philippines in 1901 will soon be returned to their home church in Balangiga, Eastern Samar as a sign of friendship and respect. This historic occasion further reinforces the strong bonds that have developed over the decades between the peoples of America and the Philippines, and that continue into the 21st century as the two nations cooperate in meeting common challenges. Please click here for more information on the background of the Bells, including the Society’s Board Resolution supporting a return and US-Philippines Society member BELLS Essay By Adm Dan McKinnon.01.20.2019. U.S Secretary of Defense James N. Mattis leads a ceremony at F. E. Warren Air Force Base, Wyo., marking the beginning of the process to return the Balangiga Bells, November 12, 2018, U.S. Department of State Screenshot. 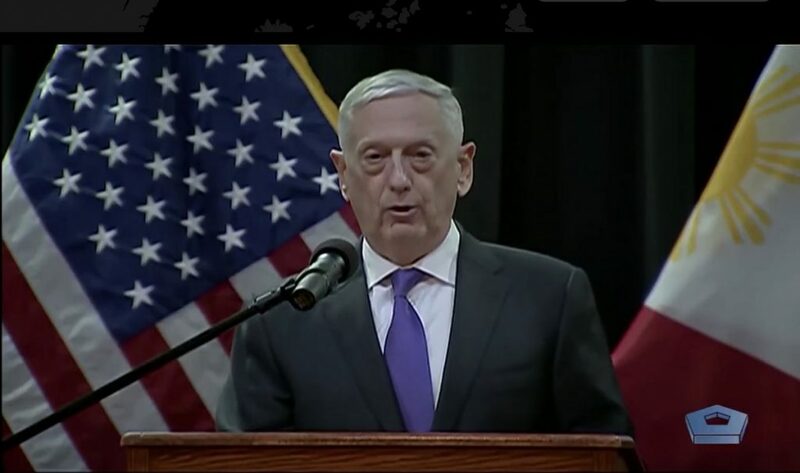 Full text: Ceremonial Address of Secretary Mattis.